Is your wallet deflated and gaunt like a Thanksgiving Day Parade balloon after the ceremonies have been wrapped up? Has Black Friday and the impending financial doom of the holiday shopping season left your bank account emptier than a pie tin two hours before Turkey Day is even done cooking? Do you ever just want something for free? QubicGames understands the holidaze we all go through this time of year. Let them spoil you like a doting grandmother by winning a Switch copy of Coffee Crisis and Escape Doodland. It's the season of giving, after all. 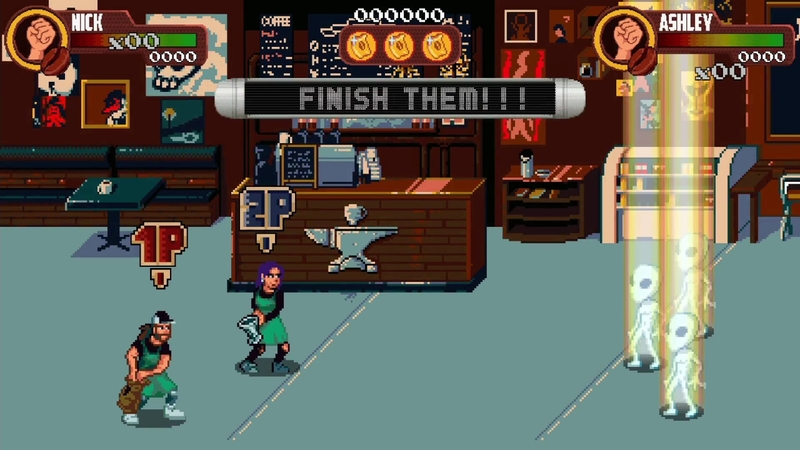 First up we have Genesis-style beat 'em up Coffee Crisis. Aliens have invaded Earth intent on stealing our three most precious resources -- heavy metal, WiFi, and coffee! You play as Nick and Ashley, the only two baristas willing to put everything on the line to prevent a decaffeinated future full of lounge music and wired internet. Gross. Grab your sack (of coffee beans), sling it over your shoulder, and fight through hordes of deranged enemies across classic arcade-style sidescrolling levels. 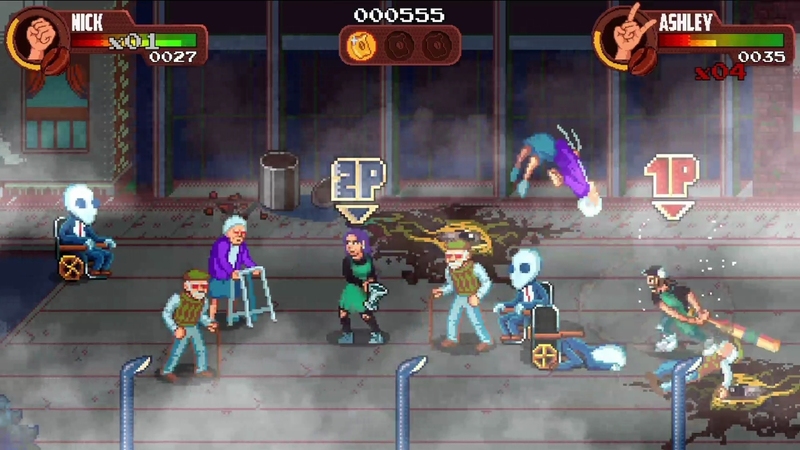 Possessed grannies, corporate goons, aliens in rather poor disguises, huge level bosses, and many more will try to stop you from saving the planet from the cosmic invaders. Fight back in solo play or local co-op as you unleash random modifiers to make you an invincible, caffeinated, alien-killing machine, or maybe unleash a gaggle of possessed cowgirls. Who doesn't love possessed cowgirls? 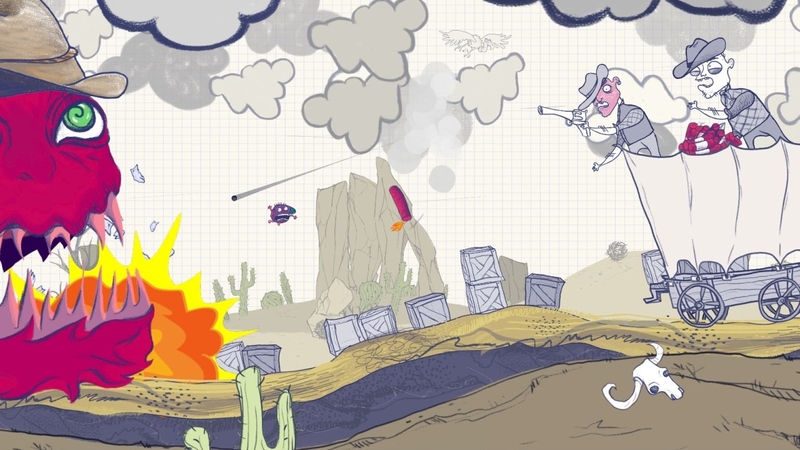 If you're more of a decaf person, then maybe check out Escape Doodland. The insatiable Omnomous has very specific dietary needs -- the inhabitants of Doodland. Run, jump, and swim your way across the hand-drawn terrain as you escape the ever-hungry jaws of Omnomous and save the citizens of this strange world. Doodlers, the peaceful creatures of Doodland, are at the threat of extinction thanks to Omnomous' appetite. As you try to escape, these unique characters, each with their own design and personality, will help you along your way. Though they may look different, each citizen shares a similar trait: Doodlers have some funky tummies. Use this to your advantage by striking a match and boosting to escape your famished foe. If worse comes to worst, get your older brother on and let one fly in his face to stun him and knock him down a peg or two. QubicGames is dishing out the goods to our fine readers by providing 25 keys for each game. All you have to do is use the widgets below to give us your name and email address so we can contact you, and tell us which game and region you want. Easy! If you want additional entries, you can follow QubicGames on Twitter and share with your friends! Winners will be drawn on Tuesday, December 4, so get your entries in now! Coffee Crisis and Escape Doodland release for Nintendo Switch on Friday, November 30.